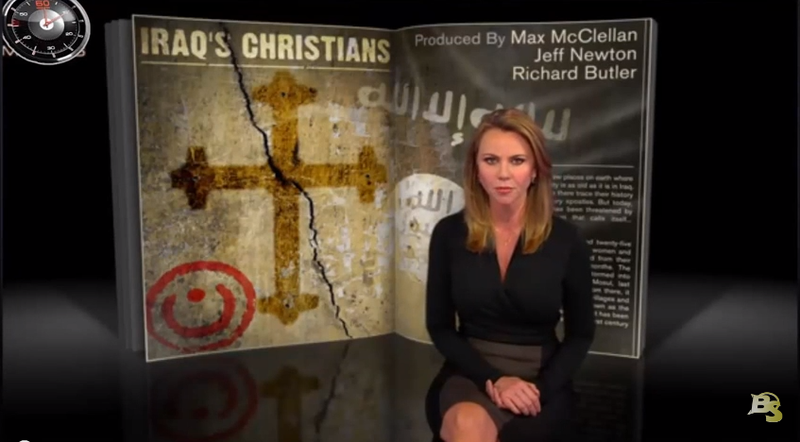 Are Palestinian Christians really your problem, Israel? After annual difficulty accessing religious sites, Palestinians vow to pursue ‘other means’ if restrictions continue. 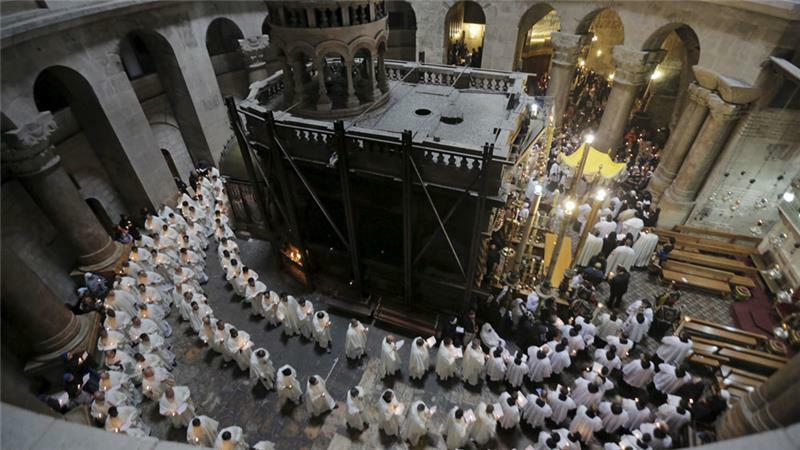 Jerusalem – Palestinian Christians said they would not tolerate a repetition of the Israeli restrictions to and violence which have in past years marred Holy Week festivities – culminating on Easter Sunday – and have vowed to pursue ‘other means’ if no marked changes are made. 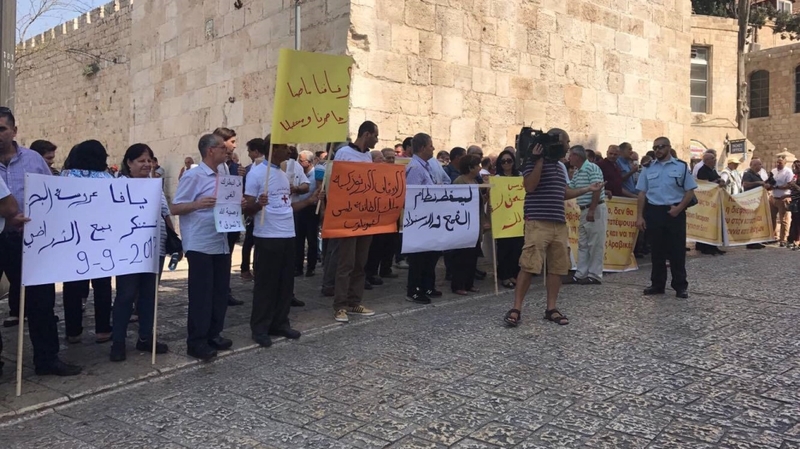 Speaking to journalists on Tuesday, community leaders expressed concerns that Israeli restrictions will prevent them from celebrating Easter this week, beginning with the Good Friday procession in Jerusalem, where thousands flock to walk along Via Dolorosa – the path believed to have been walked by Jesus before his crucifixion. This year, Easter festivities are coinciding with the Jewish holiday of Passover. Israeli authorities impose severe restrictions on Palestinians’ movement during that time, affecting both Muslim and Christians’ access to Jerusalem holy sites. “Israeli authorities give some permits to Christians during religious holidays,” said Fr. Jamal Khader, the rector of the Latin Patriarchate Seminary, who described himself as one of the ‘lucky ones’ to have received permission to enter Jerusalem this Easter time. Khader said that families from his parish often complain that permits are not given to the entire household, which often means having to drop plans to attend the Jerusalem festivities. Even those with permits cannot always take part in the processions because the Old City is “practically closed”, he said. Difficulties in reaching holy sites come at a time when Christian leaders concede that the community’s numbers are in decline. In 1944, there were some 30,000 Christians living in Jerusalem’s Old City, according to official figures. Today that number does not exceed 11,000. Many Palestinian Christians have complained in the past that they were beaten, shoved and prevented by Israeli forces from entering the Old City during religious holidays. Israeli authorities said they were merely using ‘crowd-control measures’ because of the large number of visitors. This year, the Israeli tourism ministry said it is expecting about 13,000 over the period of Holy Week and Passover. Last year, the UN’s peace envoy to the Middle East at the time and other high-ranking diplomats were prevented from going through a barricade to the Church of the Holy Sepulchre for the ‘Holy Fire’ procession – a traditional ceremony that takes place a day before Orthodox Easter.Robert Serry said Israeli police forbade him and Italian, Norwegian and Dutch diplomats from getting to the church as he was being crushed by a waiting crowd at a barricade. They also ignored his requests to speak to a superior, he said. At the time, Serry called their behaviour “unacceptable” and demanded in a statement that all parties “respect the right of religious freedom”. Israeli authorities denied Serry’s charges, saying he had displayed “a serious problem of judgment”. Last year, Palestinian Christian communities turned to Israel’s supreme court, which agreed that Palestinians’ rights were being violated, and that checkpoints and other restrictions were hindering access to places of worship. This year, they received official Israeli assurances of unhindered access to the church. “I’m not 100 percent optimistic that things will go fine even though we have assurances from Israeli security, even the president himself,” Bassem Khoury said. But some Christians fear that it’s not only access to their holy sites that’s being lost in these festivities: participating in celebrations that extend beyond the religious. Ra’ed Sa’adeh, who owns and manages the Jerusalem Hotel, said he grew up in the Old City and took part in Holy Week celebrations yearly. Yes, starting with Turkey itself. “We cannot resign ourselves to a Middle East without Christians, who have professed the name of Jesus there for two thousand years,” the pope and Ecumenical Patriarch Bartholomew of the Orthodox Church said in a common declaration issued here on the last leg of a three-day papal visit to Turkey. 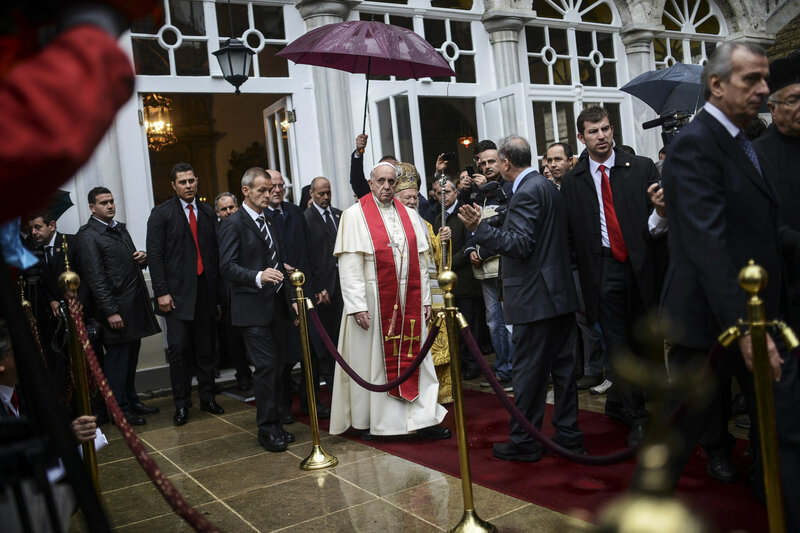 The pope made frequent mention on his trip of the plight of Christians and other minorities in areas of Syria and Iraq who have been the focus of persecution by the Islamic State. His attention to the issue was highlighted in a meeting with a group of young Christian and Muslim refugees from Syria, Iraq and Africa at the Holy Spirit Catholic Church in Istanbul. Pope Francis listened as an Iraqi Christian girl described the refugees’ sufferings and expressed gratitude for his visit.